The 2015 Amgen Tour will include both an 8-day men's stage race and a 3-day womens stage race plus invitational ITT. 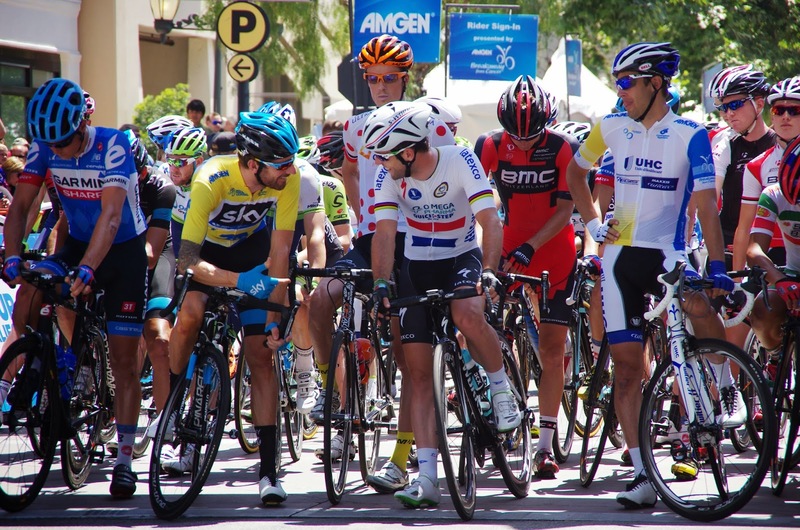 The men's stage race will cover nearly 700 miles of California scenery, beginning again in the State Capital of Sacramento and finishing in Pasadena after a final Stage 8 start in downtown Los Angeles. The women's stage race will visit South Lake Tahoe and Sacramento in northern California before traveling south to Big Bear Lake for the final time trial. Those who love beauty and beaches in their stage races, will be happy to see Santa Barbara and Avila Beach again listed as host cities. 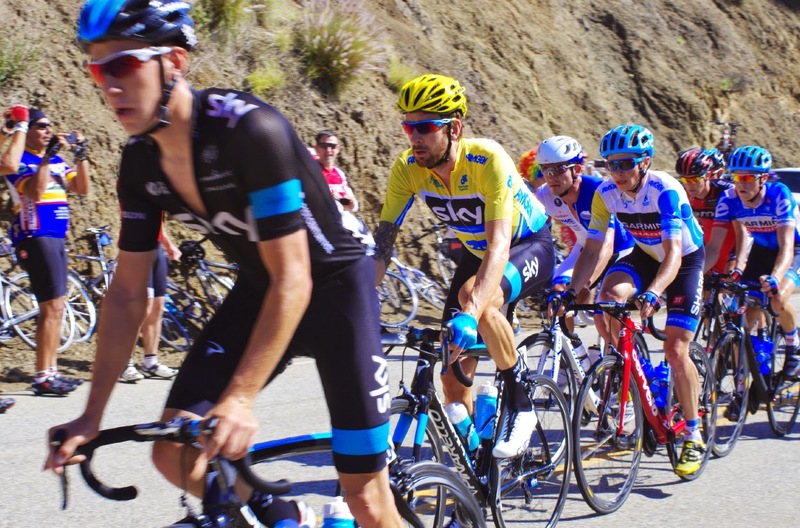 Those who love mountain climbs, will be treated to the Los Angeles/San Bernadino mountains, with finishes in Big Bear (individual time trial at altitude) and the awesomely tough Mt. Baldy. Those who value loyalty will support the stage in San Jose, a city which has hosted the tour every year. 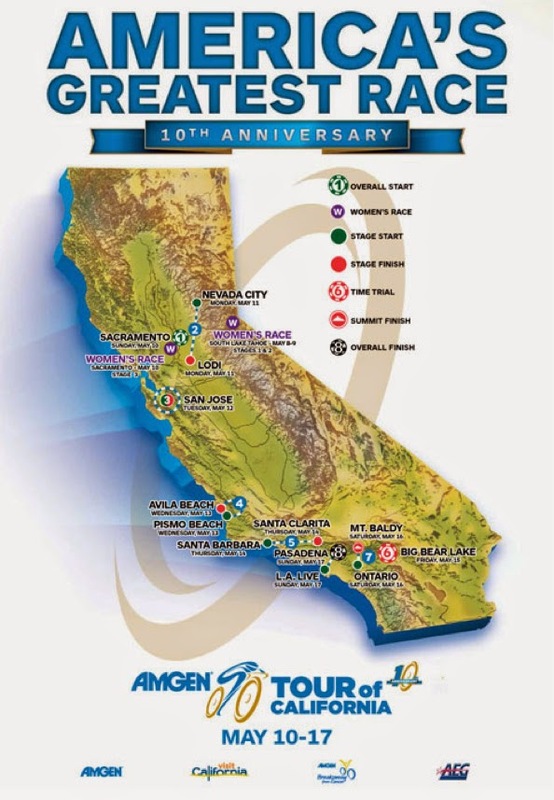 This year marks the 10th Tour of California - quite an achievement in American Tour racing. 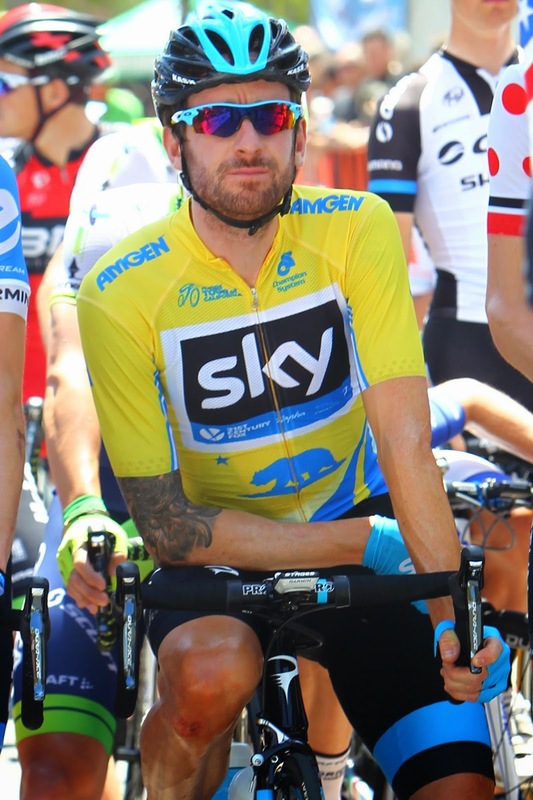 Remember who won last year - Bradley Wiggins! Because of the timing and route quality of this race, the Amgen Tour continues to attract the best racers you will see gathered in competition in the United States. At least until September, when UCI World Championships comes to Richmond, Virginia.